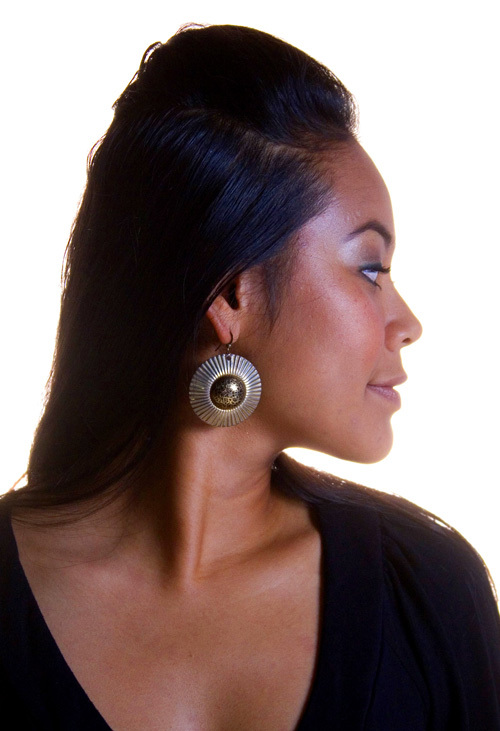 Otra Vez’s Jewelry & Accessory Designer ~ Jessica Salazar Talks About Beauty & Giving Everyone & Everything a Second Chance. 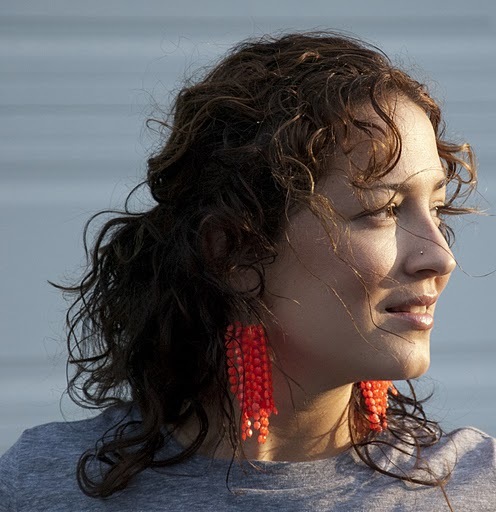 Otra Vez owner and lead designer, Jessica Salazar, is a Washington native who was born and raised on a small farm in Skagit Valley with her three brothers and amazing parents. Otra Vez is located in Seattle, Washington and they will ship anywhere in the world! 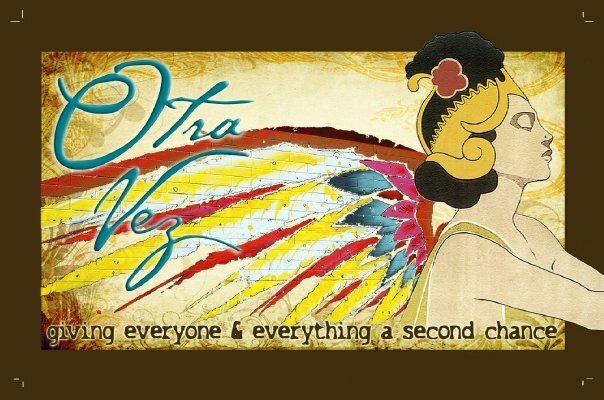 Otra Vez encompasses much of what Jessica is passionate about giving back to local and global communities, conscious and sustainable living, and beautiful creations. She feels so blessed to be able to express herself creatively as an artist, and to make a difference, and a living–all at the same time. All of the products featured at Otra Vez contain salvaged, recycled, or vintage materials, and are made using socially conscious and sustainable practices. Ten percent of their net proceeds directly support Women for Women International. Where did your business name, Otra Vez, come from? I wanted a name that reflected the passion and purpose of my company, “giving everyone and everything a second chance”. Otra Vez is Spanish for “again, or another time.” Since I work with recycled/salvaged/vintage material, it was a great match. How did you get your start? Did you have fears starting your own business? What advice do you have for people who want start a new business? I got my start by making jewelry for myself, because I LOVE earrings, and got tired of having the same jewelry that others were wearing. People started commenting on my jewelry and asking me where I got them, so I started making it to sell. I would sell the earrings right out of my ear, or offer to make a similar pair. I built up quite a collection; all made from salvaged/recycled material and began knocking on doors. Literally. I researched different boutiques and found some places that I thought my jewelry would be a good match for, and approached them one by one. I think it may have been initially scary, that fear of rejection was something in the back of my mind. But, I focused on the fact that for every no, there would be a yes, and it was all about finding the right customer/retailer match. Self-doubt still sneaks in to my mind, not so much about my product or designs, but about my ability to keep up with the industry, demand, and business relationships. I also have a line of greeting cards, www.facebook.com/birdcards and www.lilbirdcards.com, that is growing rapidly and really competes for my time and energy. I depend on my faith in God and belief in His promises and plans for my life to keep me strong, focused, and moving forward. My advice is to believe in yourself and your vision/product and never give up. Surround yourself with people who believe in you and lift you up! What gives you the most pleasure in your career as a jewelry designer? 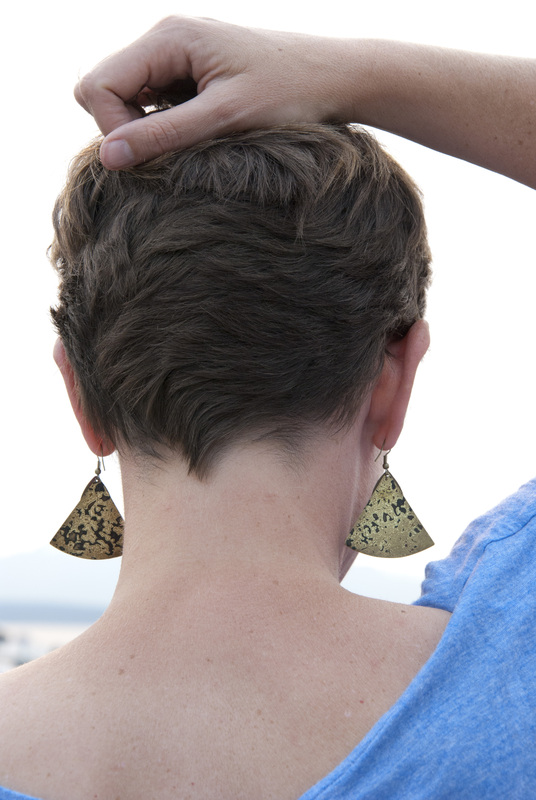 There is something so gratifying about seeing other women wear and enjoy my jewelry creations! I love the hands on process and combining different textures and colors to create unique pieces. Ten percent of your proceeds are donated to Women for Women International. Why did you choose that organization? WFW is a powerful organization helping women survivors of war go from victim, to survivor, to active citizen. Through financial aid, job training, rights awareness, and leadership education, these women are given the tools and resources to move from crisis to self-sufficiency, in turn promoting viable civil societies. As the saying goes, “Educate a woman, educate a nation”. I want other women to have the amazing opportunities I have been blessed with. What keeps you inspired and motivated? Calling my own shots, setting my own schedule, and continually expressing myself creatively. I also love helping other women from around the world live the same dream for themselves and their families. Have you ever struggled with self-esteem or body image issues? If so, how did you reach a point of accepting and loving your body as it is? Yes, of course I have! My key to acceptance was learning to celebrate who I am by understanding that God created me with unique gifts and talents to share with others. It’s not about what size I wear that determines my value. Beauty is fleeting. You will be truly beautiful to everyone around you when you learn that real beauty is exuded from the heart. When your looks give away, what will be left to shine? I have a generous heart. My language of love is giving to others. What is your beauty must have? Lip gloss, for sure. I hardly ever wear much else. What are you working on now? Do you have any new projects? I’m always trying new jewelry design techniques. Recently, I’ve played around with applying verdigris patina to vintage brass pieces, and integrating porcupine quills into my jewelry. At the moment, I am also super busy with another facet of Otra Vez, a line of recycled greeting cards called A Little Bird Told Me… www.lilbirdcards.com. Who would be your dream person to see wearing your Otra Vez? The possibilities for the future of Otra Vez…They are endless. I couldn’t do it alone though! I have to give a shout out to my three amazing interns who make Otra Vez what it is. Julia Westphal, my fashion go-to; Mandesia Sibiya, a woman with great flair and style; and Easton Richmond, photographer extraordinaire. I’m so blessed to have them as part of my team. Where can we shop for Otra Vez? You can find Otra Vez products at over thirty-five stores and boutiques in Seattle and surrounding areas, plus stores in Alaska and Kansas. I have lots of customers who shop right off my facebook page at http://www.facebook.com/home.php?#!/jessica.schellsalazar or at our website at www.otravez-ecotique.com. Erin Tinsley Answers Our Beauty, Travel, Fashion, Self-Esteem, and Body Image Questions and Talks About Her Quest To Save The Gulf! Erin is a plus-size model represented by Heffner Management in Seattle, WA; Brigitte in Munich, Germany; and 12+ UK in London, England. She has traveled extensively for both work and pleasure and models for clients such as Nordstrom, Amazon, REI, Hips and Curves, Eddie Bauer, and many others. Erin is heading to the Gulf in a couple of days to volunteer for the Gulf Restoration Network. She’s hoping to reach the $5000 mark by then! Erin will also be hosting a fundraiser on September 24 at Eterea Studio in Seattle. 100% of the proceeds made from the evening will go directly to the Gulf Restoration Network. For more information on how you can help, please visit: http://gulfrecovery.webs.com/cleancoastfundraiser.htm. This is what Erin’s mom had to say about her: Erin is one of the most passionate people I know. She’s independent, loyal, and sincere, too. Erin is a wise, “old soul” who truly loves Mother Earth and all her creatures. She is a great friend who looks for the good in people and is compassionate and understanding about everyone’s differences. She doesn’t just see people on the surface. She looks deeper into everyone, studies them, and learns exactly who they are. A truly kind, honest, and beautiful soul. How did you get started as a model? About three years ago, I was having dinner at a restaurant and kept noticing a woman at a table next to me staring my way. I didn’t think much of it, but by the end of dinner, we had made eye contact and she came over to talk with me. Turns out, she was the president of my agency here in Seattle, Heffner Management. She asked if I had ever thought about modeling. To be honest, it never even crossed my mind! She gave me her card, I was signed a week later, and the rest is history! What does being a ‘plus’ model mean to you? Being able to empower real women with real bodies. I am incredibly grateful to be working in such an exciting industry where I can represent healthy women. What do you love about modeling? Have you ever struggled with low self-esteem? Like so many women, I absolutely have. Teenage years can be difficult for many, especially if you don’t fit into a size two. Because I never looked like the girls I saw in magazines, or even my skinnier friends, I would constantly doubt my self-worth. Between blonde highlights, colored contacts, over-tanning, and crash dieting; I spent years trying to look and be someone I wasn’t. So glad I’m not a teenager anymore! What advice would you give to girls and women who are struggling with body image and self-esteem issues? Overcoming low self-esteem and a poor body image is a process that takes time. Some of the best advice I was ever given was to never talk to yourself the way you wouldn’t speak to your best friend. Catch yourself when you are talking negatively or putting yourself down. Would you tell your best friend how fat her thighs were? No. Then simply stop doing so to yourself. Take action when something is really getting you down. Cherish your body regardless what size it is. Stop comparing yourself to others and start loving your body, whether it’s a size two or twenty. What is one of your most memorable modeling experiences? Being able to meet and chat with Ashley Graham. She is absolutely stunning and carries herself in such an elegant way. Watching and learning from an experienced and high-profile model definitely has been one of many highlights. Do you have any funny modeling experiences? Last year after shooting in the Midwest, I was put on a small plane with half of the Green Bay Packers. It was hilarious chatting with those guys! Staying active, achieving mental clarity, and finding balance in all things that life has to offer. Create your own memorable experiences as often as possible and participate in activities that challenge your thinking and truly make you happy. I love to hike, golf, travel, read, and spend time with close family and friends. Zara and Nordstrom are my two staples! I love shopping at different consignment shops around the city as well. Loose T-shirt, thin bangles, dark skinny jeans, and strappy sandals for day, heels at night. You are also an esthetician. What are some of your skin care tips? Do you have a favorite skin care line? I am! I get this question often and it really comes down to a couple of basics. Get plenty of sleep and exercise, avoid stress, exfoliate properly, and wear sun block! Simple milky cleansers like Cetephil and CeraVe are a must. I’ve used so many skin care products over the years and I have to say, Kinerase and Somme Institute are my favorite skin care lines. Somme Institute’s Transport Pads, Kinerase’s C8 Peptide Intensive Serum, and their Restructure Firming Eye Cream are my staples. I’m also slightly obsessed with my Clarisonic right now! It’s a little handheld facial cleansing device. Look for products containing retinols; they come in prescription and non-prescription form and are great for fine lines. Also, never underestimate the power of a good night’s sleep! To me, beauty is a combination of confidence and authenticity with a touch of mystery. Own your “flaws”, be kind to others, and be proud of the imperfect and amazing woman who you are. We understand that you love to travel. Where is your favorite destination so far and where do you want to go next? The travel bug bit me at the age of twenty-four on a five-week trip to Thailand. Each country I have visited since has been unique and special in its own way, but I still look back on that trip as my favorite. Experiencing something so shockingly different then my comfortable suburban life really opened my eyes. Travel makes you realize how little you actually need in order to survive and how important it is to treat others, as well as the environment, with respect. Whenever I come back home from a trip, it makes me even more grateful for all that I have. There are so many countries I want to visit! Australia, Burma, Greece, and Indonesia are hopefully next! I am half Italian and Italy has been calling out to me as long as I can remember! I don’t know if excited is the right word, but I am very upset over the current oil spill disaster happening in the Gulf. I’m trying to raise awareness on what exactly is going on down there and what we can do to help. So many friends, family, and colleagues expressed concern, but no one was sure what they could do. My passion drove me to take action so I started a website, www.gulfrecovery.webs.com and created Erin’s Gulf Recovery Fund to raise money for two organizations I felt passionately about: the Gulf Restoration Network and the National Wildlife Federation. I will be heading to New Orleans to volunteer for the Gulf Restoration Network at the end of August for two weeks, and I couldn’t be more excited to be put to work! Beauty & Product Advice From Passionate Make-up Artist Stace Quach! Stace Quach’s story is one of great passion and determination. For as long as she can remember she has had a love for make-up artistry, however, it was not until recently that she decided to pursue it as her life’s career. After a series of life changing events, including the death of her husband at the age of 27 and becoming a single mother of three, Stace knew that she needed to make some changes in her life. She decided that life was too short be complacent and uninspired. It no longer made sense for her to not pursue the one thing she loved doing most – make-up. Once her mind was made up, she moved to LA to polish her skills in beauty, bridal, editorial, film, and TV makeup by attending Make-Up Designory (MUD). It is no doubt that Stace is a natural. Her eye for creativity has made her one of the most loved make-up artists in the greater Seattle area. She is now a mother of four little girls and believes that through the use of make-up she can empower women all over the world. Ever since delving full-time into make-up artistry, Stace can’t imagine a better way for her to live life. Her work allows her to show women that through make-up they can feel confident, beautiful, and comfortable in their own skin. You can call her an idealist but she is really out to save the world, one face at a time. Before I began my career as a make-up artist, I believed that make-up was everything. Anything that would cover the flaws on my face, I would buy. After becoming a make-up artist, I quickly realized that taking care of yourself from the inside out was not an answer, but THE ANSWER. Skin care is by far one of the most important things as well. Working on so many different faces and being able to see so many different issues my clients have has really helped me grow and learn as an artist. I use to ask which cosmetics line my clients use, but now I am finding myself asking what their skin care routine is, do they stay hydrated, and do they protect their skin with sun block. I definitely see a huge difference in my clients who take preventative measures and have a skin care routine vs. the women who don’t. So, I strongly urge women to look into skin care and diet routines. Products that I cannot live without! These are products I’ve used that my clients have loved! When there’s only time for a quickie…moisturize face, apply primer, concealer, bronzer, brow gel, curl lashes and apply mascara, and apply gloss – out the door you go! Being that I’m always in a rush to get out the door to beautify my clients, this is what I do. If the occasion calls for a more put together look or if I have an event that evening, I’ll apply eyeliner, blush, and shadow as well.